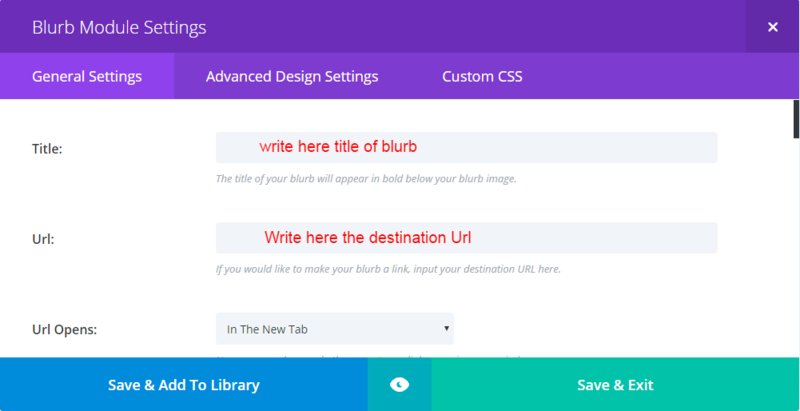 Simply add the blurb module and in the module general settings add the title and destination URL as shown in the below image. 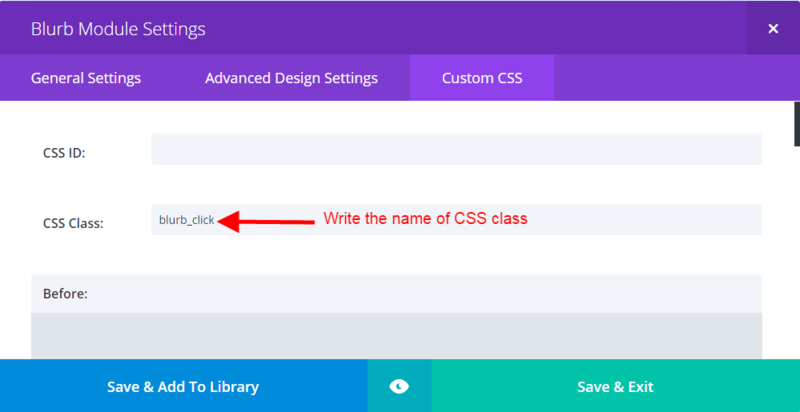 Now open the blurb module “Custom CSS” Section and assign a CSS class to the CSS Class field as shown in the below image. In the Integration tab firstly enable the “Enable Body Code” and then add the given code below in the body as shown in the below image. Hope this piece of work satisfies you and for any other help please leave your precious comment below. Unfortunately this script doesn’t seem to work. Finding this works fine. The only drawback is that the cursor does not change when hovering over the body text portion of the blurb module. How do we add the hover over effect for the cursor change?